What is a fake entrepreneur? 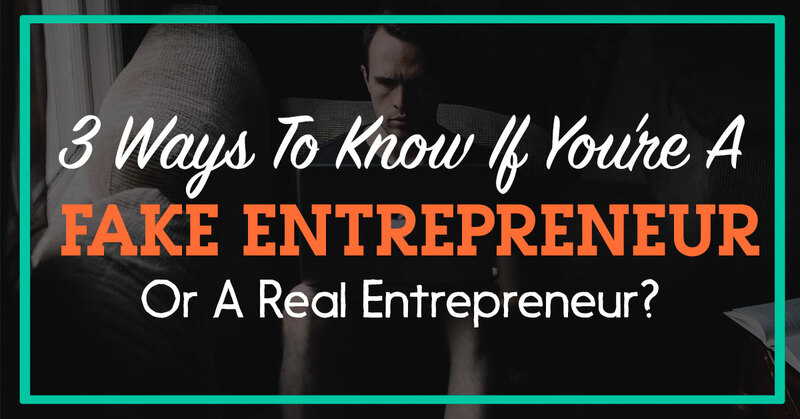 Does it feel good to call yourself an entrepreneur? Do you have posters of Steve Jobs on your wall and inspired to create a dent in the universe? Well… that’s how the journey starts, but down the line, some of us begin to realise that it was not how we thought it would be. Here’s an awesome video by Dale Partridge from StartupCamp on the things which clearly distinguishes a “REAL” entrepreneur vs a “FAKE”. Being a fake entrepreneur is not necessarily bad… but it helps you get in tune with reality and focus in areas which really matter. A freelancer is not an entrepreneur. You may be awesome at design or copywriting, but that does not mean you’re an entrepreneur. The only difference is that you don’t have a boss. You can do stuff the way you want, but you’re still trading time for dollars. That is what Robert Kiyosaki calls, “Self Employed” in the cashflow quadrant. This takes things to the next level. You start your own business but you’re working for wages within your company. This is where most of the “business owners” spend almost all their time working in their business instead of working on their business. This is a tough space to be in coz you’ve got to not only take care of yourself but also your teams, and you usually may end up burning out in a few years. Once again, this falls under the “owning a job” category. Your business will not be able to run without you. This is by far the point where reality hits you. You might have tried running your business for months, if not years… but when suddenly a perfect opportunity comes your way… you grab it! This is also a sign of a fake entrepreneur, coz you really were only looking for the right break to sustain your family. 1. Purebred entrepreneurs, at the root level, are problem solvers and great delegators. 2. A real entrepreneur is one who can build systems around the functioning of their business where they really aren’t IN the business, but ON it. 3. Real entrepreneurs are those who have balls of steel, who are willing to take the risks to drive things forward no matter what. Those who are willing to sleep on the streets and yet pay their teams well to reach their goals. 4. Henry Ford was once accused of not being technically sound. His reply was YES. He may not be technically the best, but he sure does not how to hire the BEST and get them to drive the processes forward. 5. Finally what differentiates a fake entrepreneur from a real one is the ability to use their imagination to take decisions quickly and work on multiple projects by empowering leaders to run it with their vision. 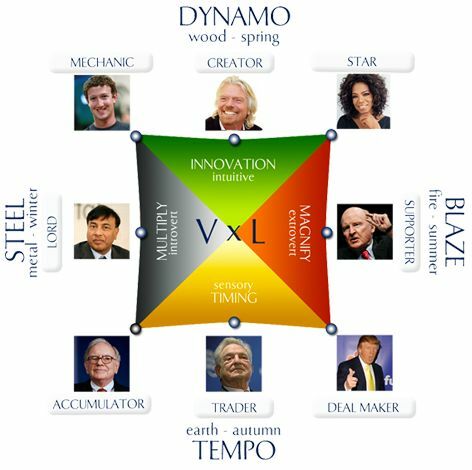 Richard Branson is a classic example. Many people think that there are hundreds of routes to wealth. With Wealth Dynamics, you’ll see that there are actually only eight paths to wealth and that one of those paths is the correct one for you. These paths are highlighted by the successful people who have achieved wealth through following their natural path. This is to say, they found the wealth dynamic match that suited their talents. No, they discovered the talents they were born with and capitalized on them. They followed a path that they loved, their path of least resistance and they excelled at it. Wouldn’t you like to find your path, benefit from your natural strengths and excel? This was a good read and I really liked the idea of performing a biopsy on ‘Entrepreneur’. Waiting for more such blogs from you.